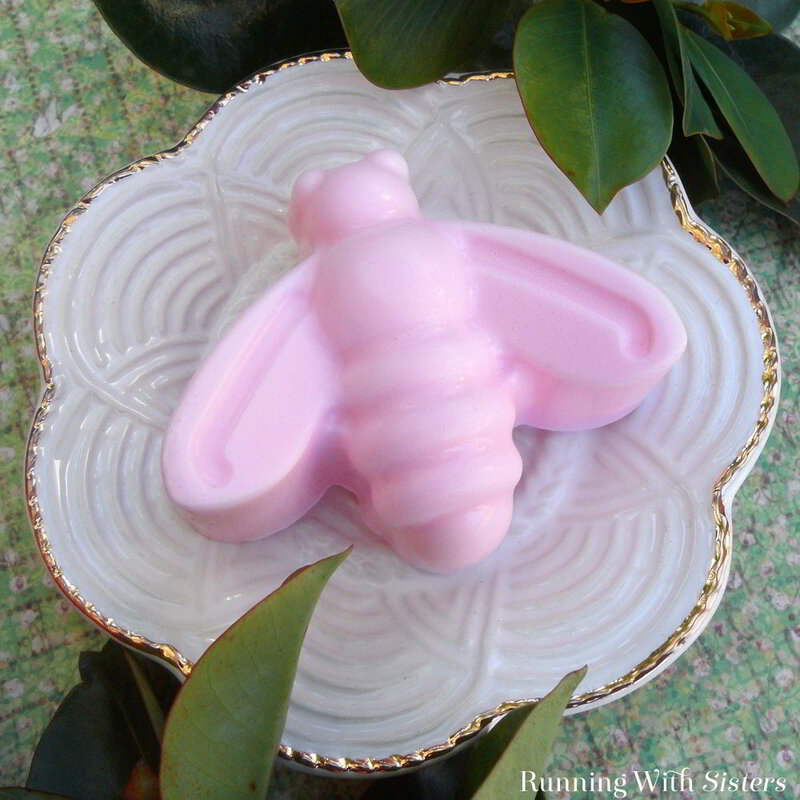 This adorable bee handmade soap is a breeze to make when you use melt-and-pour soap base. Patchouli essential oil gives it an earthy aroma reminiscent of gardens in bloom. 1. To make the handmade soap, cut the shea butter soap base into cubes, place them in the Pyrex cup, and melt them in the microwave on high for 30 seconds. Stir with a chopstick, then heat on high for 10 seconds, checking and repeating until melted. 2. 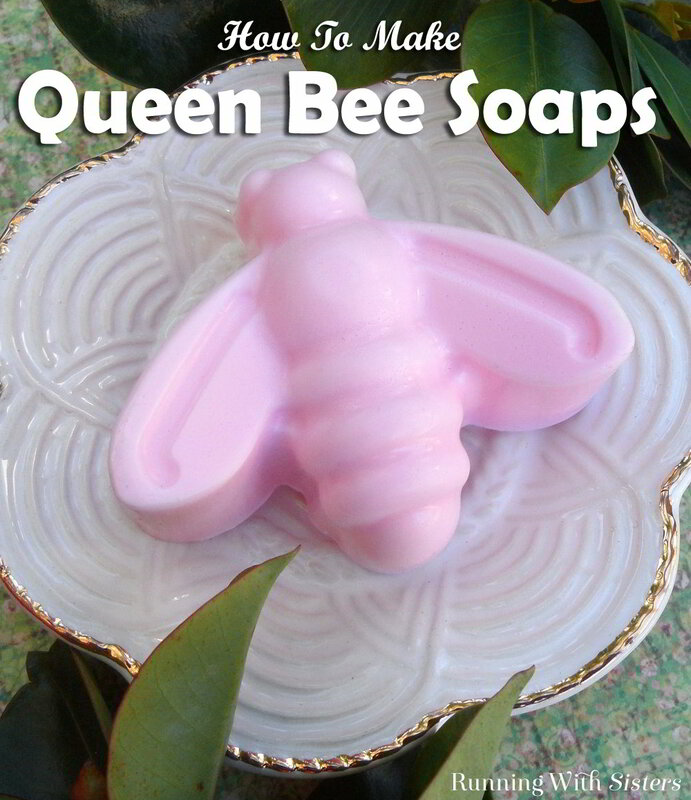 Mix in 6-8 drops of patchouli essential oil, then add approximately 20 drops of pink soap color. Stir with the chopstick until blended. Add a few more drops of soap color if the soap base still appears too white. 3. Pour the soap mixture into the mold and immediately spritz the surface with alcohol to release bubbles. Let cool for an hour or until the mold is cool to the touch. 4. Once the soap has set up, turn the mold over and gently unmold the soap. If the soap doesn’t release easily, place the mold in the freezer for 15 minutes and try again. *We filled our soap mold with water to measure what amount of soap base to use. Multiply the amounts we used to fit the mold you are using.